Home / Bluegrass Music / radio / Southern Gospel / Singing News Bluegrass Gospel Top 10 – Five Months In A Row! 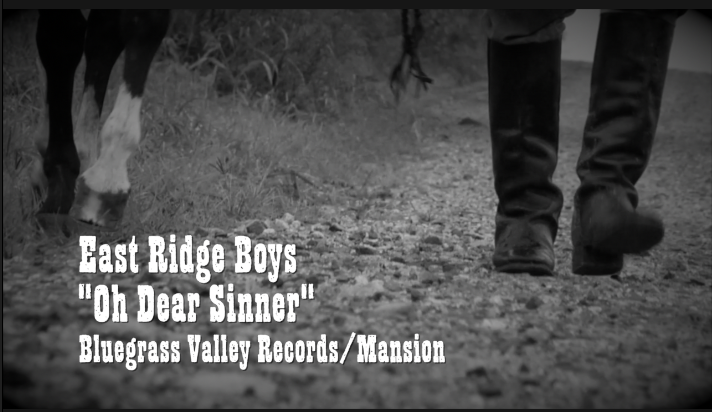 Expectations were high when BlueGrass Valley Records / Mansion Entertainment released “Oh Dear Sinner” by The East Ridge Boys earlier in the year. Those expectations have been exceeded by far since the release as the radio single set a charting record for the label and the group with 5 straight months of being a Singing News Bluegrass Gospel Top 10 song. “Oh Dear Sinner” first made its Top 10 debut in May coming in at #9, climbed to #6 in June and peaked at #2 for July and August. The song remained on the chart at #5 for the month of September, sustaining a 5 month run. The East Ridge Boys are from Lick Creek, KY and consist of group members Richie Rose, David Taylor and Fonso Fields. Their Mountain Roots and Bluegrass Music heritage runs deep and they’re fan base is growing with the success of the debut single. The release of the official lyric video for “Oh Dear Sinner” on social media has also added to the group’s following. The follow up single, “Problems At Home”, is slated for release in August and plans for completing a full album are in the works.